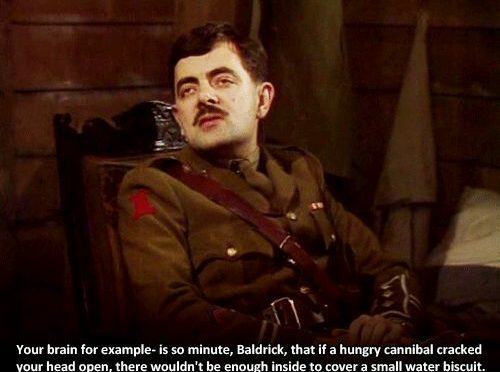 Blackadder Goes Forth has some great quotes, right from the very first scene of episode 1. Here’s a look at Captain Cook, the first episode of Blackadder Goes Forth. Captain Blackadder: Baldrick, what are you doing out there? Private Baldrick: I’m carving something on a bullet, sir. Captain Blackadder: What are you craving? Private Baldrick: I’m carving “Baldrick”, sir. Private Baldrick: It’s part of a cunning plan, sir. Captain Blackadder: Of course it is. Private Baldrick: You know how they say that somewhere there’s a bullet with your name on it? Private Baldrick: And the chances of there being *two* bullets with my name on it are very small indeed. Captain Blackadder: Yes, it’s not the only thing that is “very small indeed”. 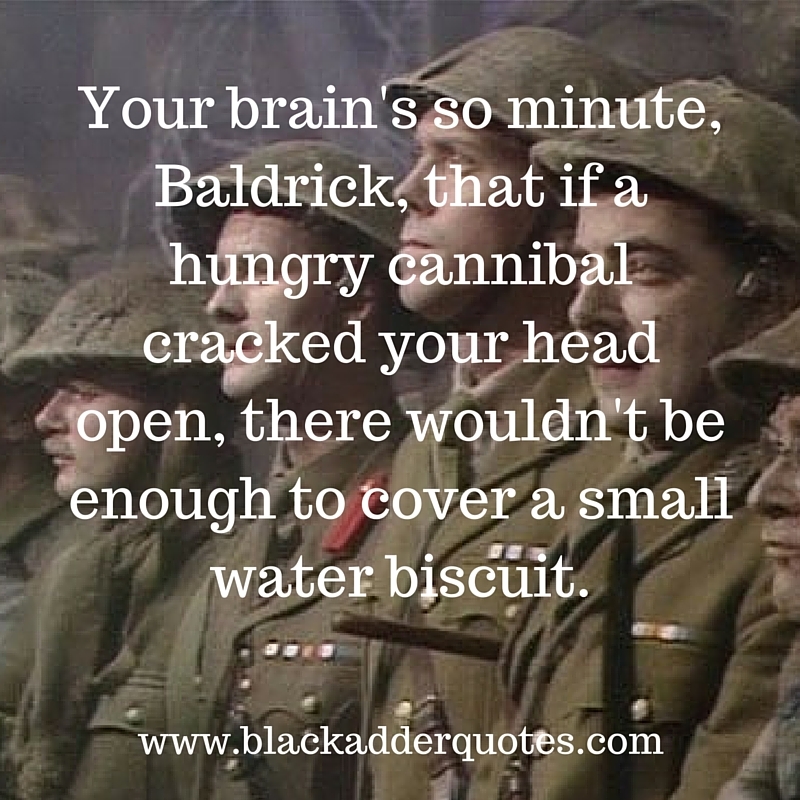 Your brain for example- is brain’s so minute, Baldrick, that if a hungry cannibal cracked your head open, there wouldn’t be enough to cover a small water biscuit. Take a look here for more great quotes from Blackadder Goes Forth. If you liked this one, please leave a comment below!